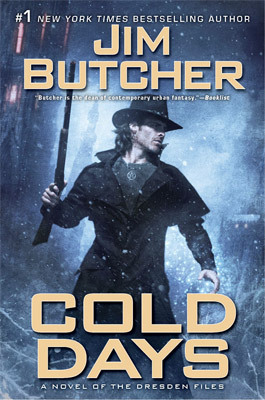 Cold Days by Jim Butcher is now available. Cold Days is the 14th book in the Dresden Files series of Urban Fantasy novels set in Chicago featuring Harry Dresden. After the events of Changes and Ghost Story, I could hardly wait to see where Jim Butcher was going to take Harry and company. This book was not a disappointment. I love how everything builds on the previous novels. It truly gives a grand scope to the worlds of these novels. While this is probably not the best book to start reading from the Dresden series, you can pick up enough from context to get what is going on. For those of us reading since book one, the layering of elements and payoff is not something you see a lot of anymore.